Incredible location in Alamo Placita!! Half block to park. 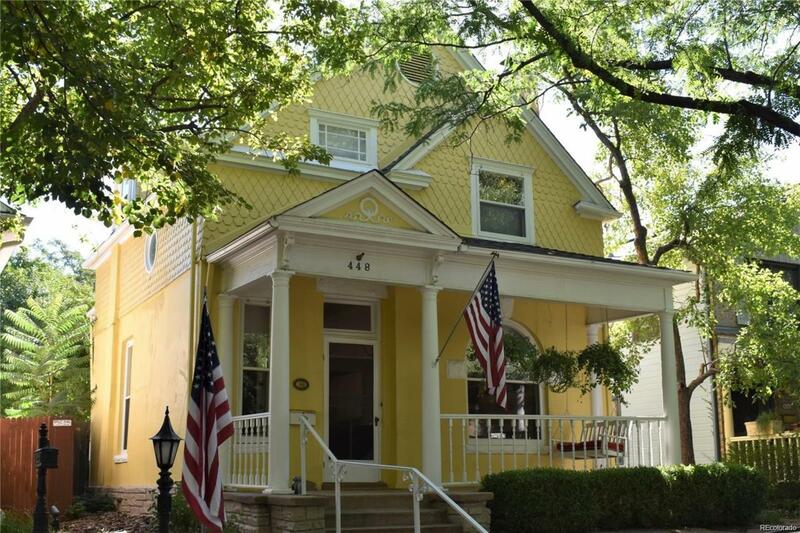 Walk/bike to restaurants, shopping, coffee, Cherry Creek, Downtown, Congress Park. This historical 2 story Victorian has seen the following updates in the past 3 years: kitchen, windows, hot water heater, appliances, exterior paint, flooring upstairs, paint. Master bedroom has private den with deck and new bathroom vanity. Main floor bedroom recently updated with 1/2 bath & laundry. Beautiful kitchen with custom cabinets, soapstone counters, soft close drawers, 36" gas cook top. Beautiful sunroom with wood floors & 3 panel sliding glass door to access your inviting backyard. Oversized 2 car detached garage off alley. Adorable fenced garden space. Welcome home!